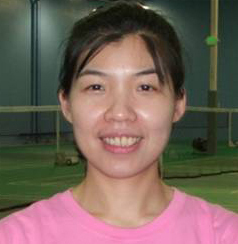 Ms. Tang Jie Yun was a former member of the Guang Dong National badminton team in China from 1985 to 1996. She was also a member of China Junior Badminton Team from 1989 to 1992, China Badminton Team in 1993 and China National Badminton Team from 1994 – 1995. She has achieved numerous awards from 1985 to 1999 and has previously been evaluated by China’s Physical Education division to be National level Intermediate Coach of China. Since retiring from professional badminton in 1999, Ms. Tang has coached for the elementary school of Guang Dong, University of Foreign Studies and the Badminton Management Centre of Guangzhou City.